The Bigfoot Adventure Weekends staff includes Alan, Jesse and Dave, each a member of the Ohio Bigfoot Field Researchers Organization (BFRO). The guys have a passion for adventure and love exploring the woods in search of evidence of the elusive Sasquatch. All three have been actively investigating the Bigfoot phenomenon for the last several years and have had many interesting encounters deep in the woods at night. David "Taters" Wickham has always been fascinated with television shows like IN SEARCH OF..., MYSTERIOUS MONSTERS and THE LEGEND OF BOGGY CREEK. 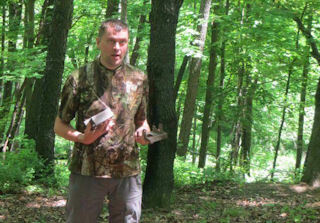 He has been on multiple public and private expeditions to search for Sasquatch in Ohio, West Virginia and Kentucky. Dave was invited to become an OHIO BFRO investigator in 2014 and contributes his 24 yrs of experience as a physical therapist concerning bio mechanics for gait patterns of bipedal origin. 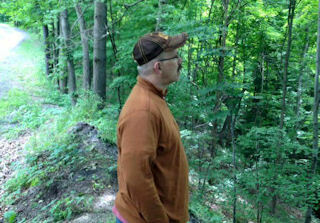 He believes in the existence of Bigfoot and that finding proof is the greatest adventure of all. 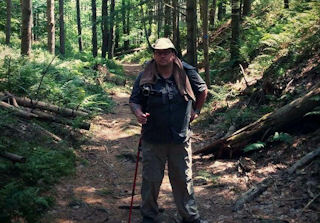 Alan began researching the Bigfoot phenomenon during the summer of 2009. Being in the field has been the number one priority for Alan, and this effort has resulted in a number of “close calls” including recordings of possible wood knocks and vocalizations. Despite having a successful career as an engineer, Alan’s true passion is a calling to research the unknown. Since childhood he has always found time to get in the field, digging his heels into another muddy uphill hike. Alan finds excitement in knowing he could share one of the greatest scientific discoveries with the world.